I had to drop the husband off in the city for his work Christmas party last week, so since I was in the area I decided to duck into Operator25 for a quick lunch. 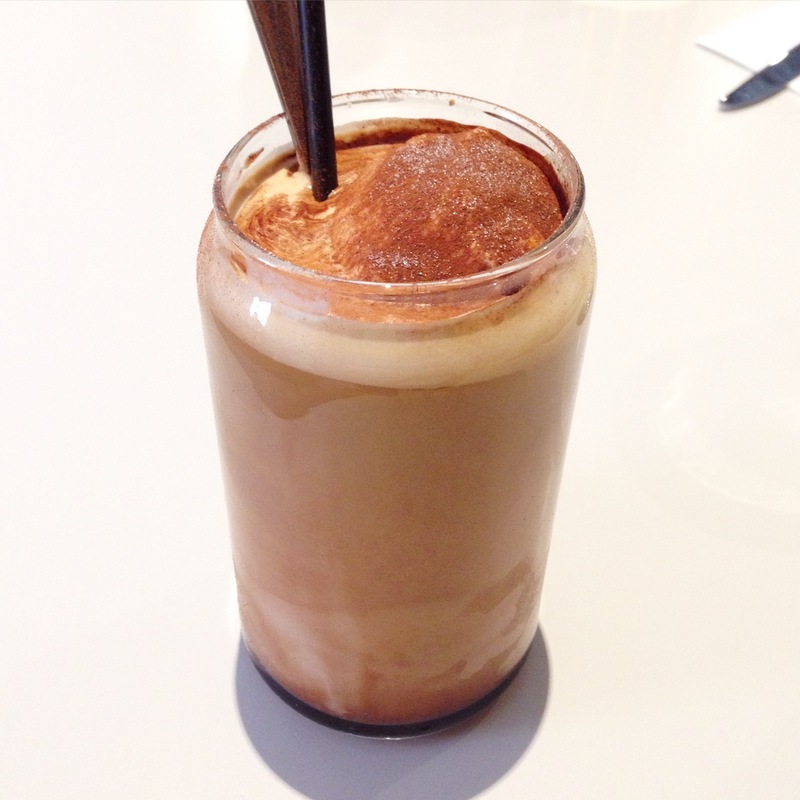 Tucked away in a quiet little street off La Trobe Street you’ll find this great little café, just follow the smell of coffee and you won’t miss it. I rolled up with bubs in the stroller and needed some help up the stairs, but once inside the staff were so lovely and seated us in a corner so that we weren’t bothering anyone. I was meeting a friend there, so while I was waiting, I couldn’t help but notice how insanely busy the barista was. I’ve been to a stack of great cafes, but never have I seen someone smash out as many coffees as this guy. I’m not a big coffee drinker (I know, the horror! ), but based on the volume of coffee orders being processed, it must be a great brew. I on the other hand came here for the food, and food we ate. 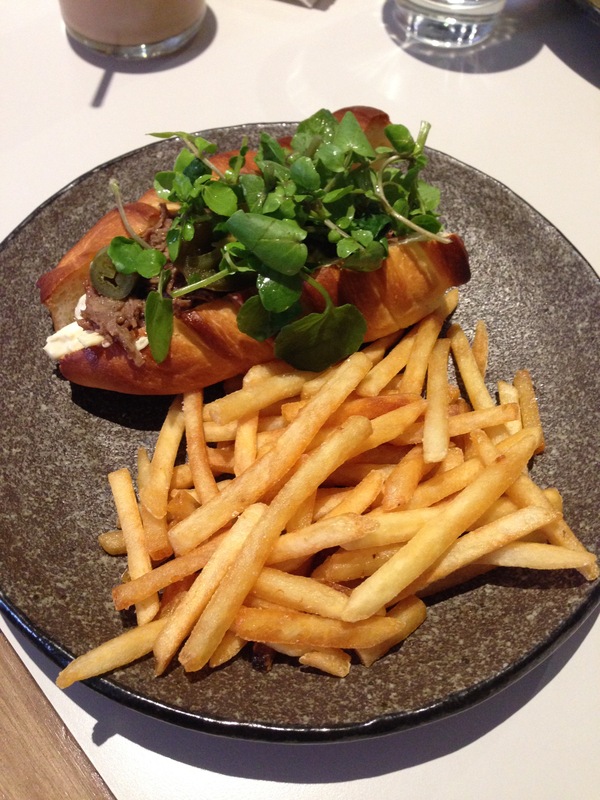 We ordered the pulled beef roll (Pulled Beef Roll with Apple Celeriac Slaw, Watercress and Jalapeños) and the matcha hotcakes (Matcha and White Chocolate Hot Cakes, Mandarin Mascarpone, Toasted Hazelnuts, Banana Chips and Cherry Coulis). To put it simply, I devoured the beef roll. Full of flavour, tender and down right delicious. The slaw complemented it perfectly and really rounded out the dish. 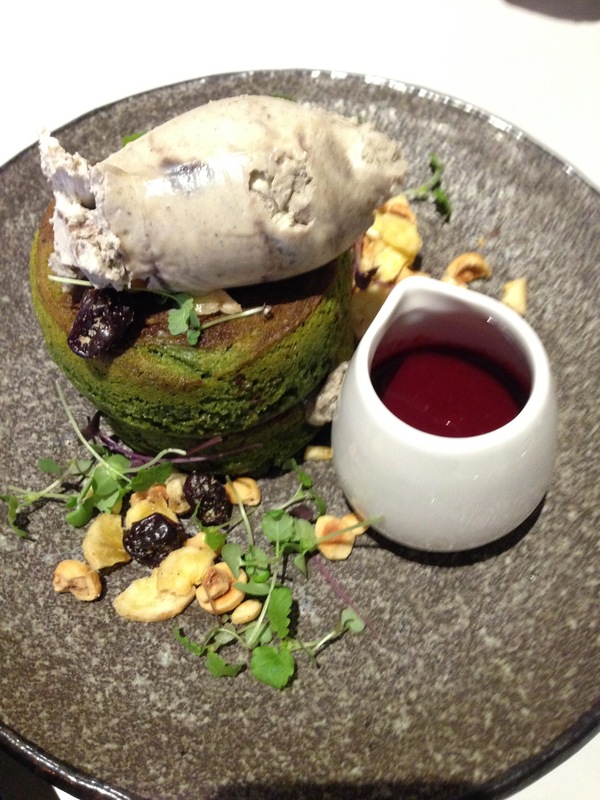 It took us a little bit longer to really get into the hotcakes because the flavour matcha was so subtle, but once we did they were also great. Light fluffy and not overly sweet as some hotcakes can be. Overall I liked Operator25, I can now understand what all of the buzz is about. Doc has been on my hit list for ages, but since having bubs it’s been a bit hard for us to get out for dinner. To combat this, we met a group of friends for a casual Saturday afternoon lunch at the Albert Park restaurant and damn did it live up to all of my expectations. The first thing I need to say is that the service was impeccable! No really, I was just amazing, I haven’t come across service this good in ages. The wait staff were so incredibly welcoming and on the ball, yet relaxed. They were right there every time we needed them, acting on our drink orders quickly and keeeping a close eye on our table without feeling like there were hovering over us all afternoon. At one point a friend was eating a Nutella Calzone but left the side ice cream, the waiter noticed this and brought over a spoon so that she could eat it. We had a laugh with our waiter and it really added to our dining experience. This alone would keep me coming back time and time again, even if the food was on the average side, but of course it wasn’t! The food was fantastic! 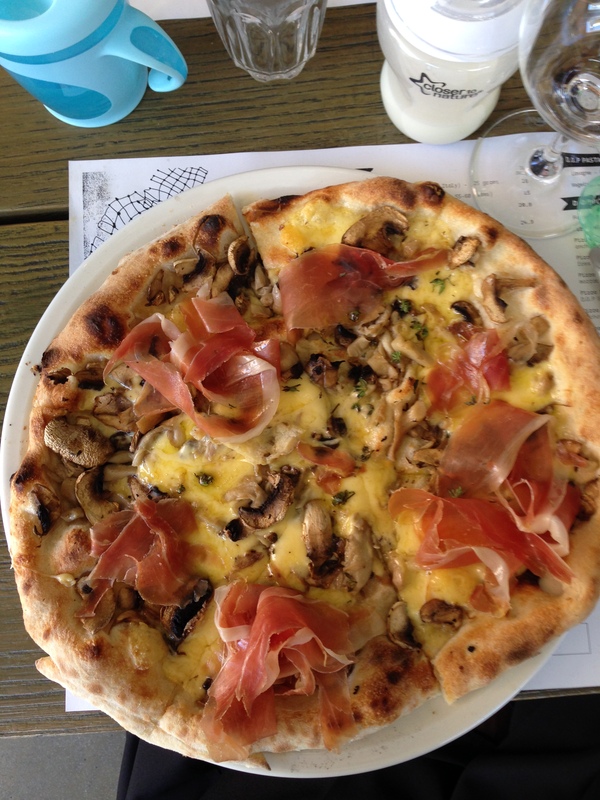 We ordered the Pizza DOC (Fresh Tomato, Fresh Buffalo Mozzarella, Fresh Basil), the Pizza Speck (Smoked Prosciutto, Fontina, Wild Mushroom, Thyme) and the Rocket, Pear and Honey Salad on the side. To say that these pizzas were perfect is an understatement. Thin crust, cooked perfectly, not soggy and not drowning in mediocre toppings. 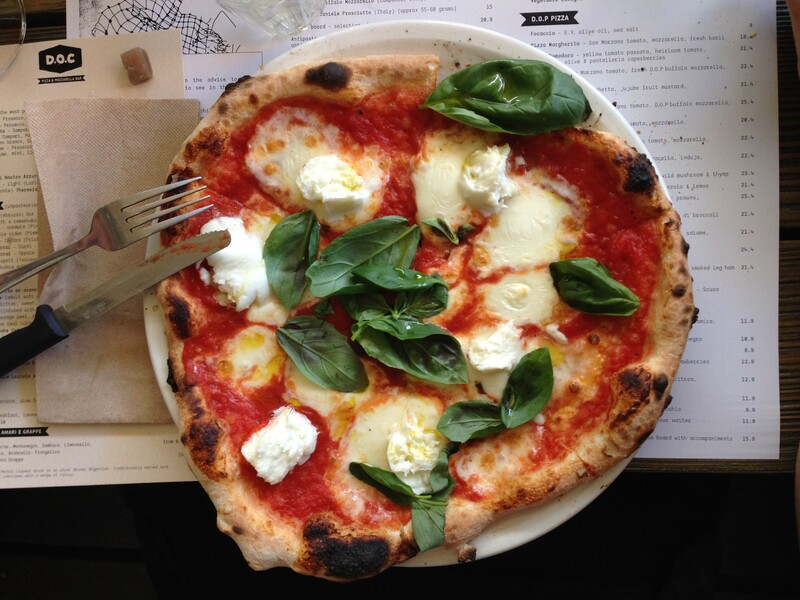 Everything about both pizzas was fresh, delicious and oozed quality. I get the impression that many people feel that the more topping on a pizza, the better it is, but this really couldn’t be further from the truth. DOC have really proved that less, but good quality is definitely more. Both pizzas were simple and classic, I could never get sick of eating either of them. 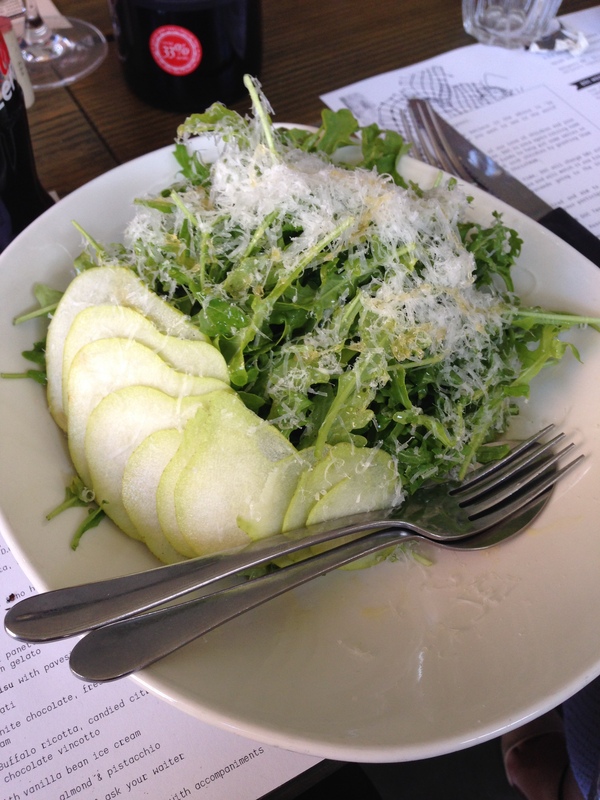 Accompanied with the salad, it really made for a great meal. 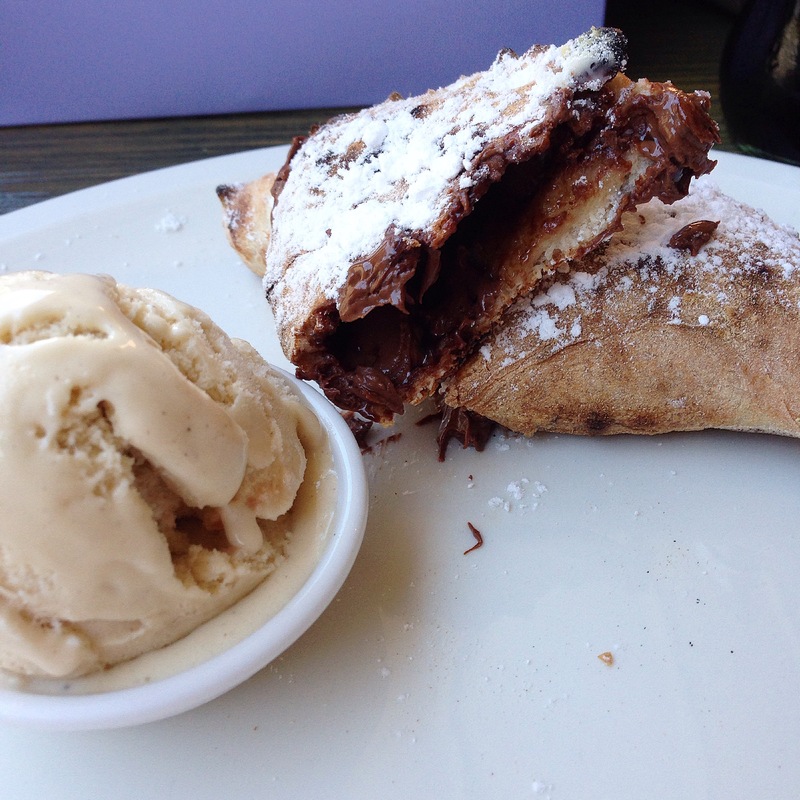 We finished off our meal on a sweet note with the Nutella Calzone. Yep I said Nutella, so obviously it was amazing! No dish can ever go wrong when Nutella is involved. The verdict? I wish I visited much sooner because this was by far the best pizza I’ve eaten in years.